Woof! This one color silkscreen pillow is perfect for golden retriever lovers everywhere. EXCELLENT CUSTOMER SERVICE. RECEIVEDTHIS PRECIOUS SILKSCREEN GOLDEN RETREIVER PILLOW IN JUST A FEW DAYS AFTER I ORDERED IT. 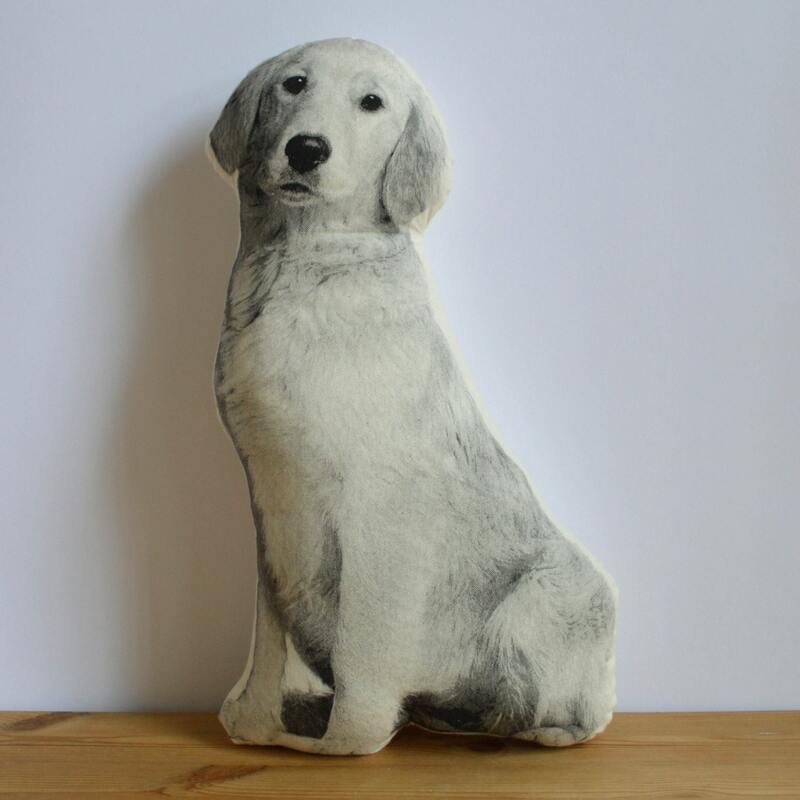 THIS IS THE THIRD GOLDEN RETRIEVER PILLOW I HAVE ORDERED FROM SHANNON. EVEN THOUGH THE PILLOWS ARE ALL THE SAME BREED, EACH ONE IS UNIQUE IN THAT THEY ALL HAVE DIFFERENT FACIAL EXPRESSIONS ALL THEIR OWN. ABSOLUTELY ADORABLE!!! PILLOW LOOKS AMAZINGLY LIFE-LIKE. I AM SO THRILLED WITH THIS PILLOW THAT I ALREADY ORDERED ANOTHER ONE.